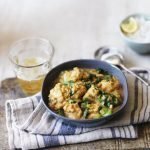 Many people shy away from them, mostly because they find it difficult to cook (looking at you, mum) but there are some simple ways to cook it. If you dice it and include in a tomato sauce or lasagna, it is easy, if you drain the water from it you can grill it, and yes, you can simply cut it in half, add some olive oil, and pop in in the oven. But this book is taking my addiction a step further. Whether you already use aubergine in your cooking or not, try it out. There are plenty of recipes, salads and meals, vegetarian and meaty, and most of all, quite easy to follow. While I have not tried the aubergine chocolate cake yet (yes, that is a thing), I have made it through a number of recipes and believe me, it is worth it! 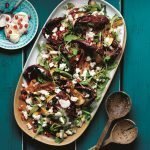 Aubergines are under represented in cookbooks and this book is trying to put the record straight: Aubergines are a great addition to a meal and can indeed be the heart of a meal. Many are very easy to make and my first attempt was always successful. 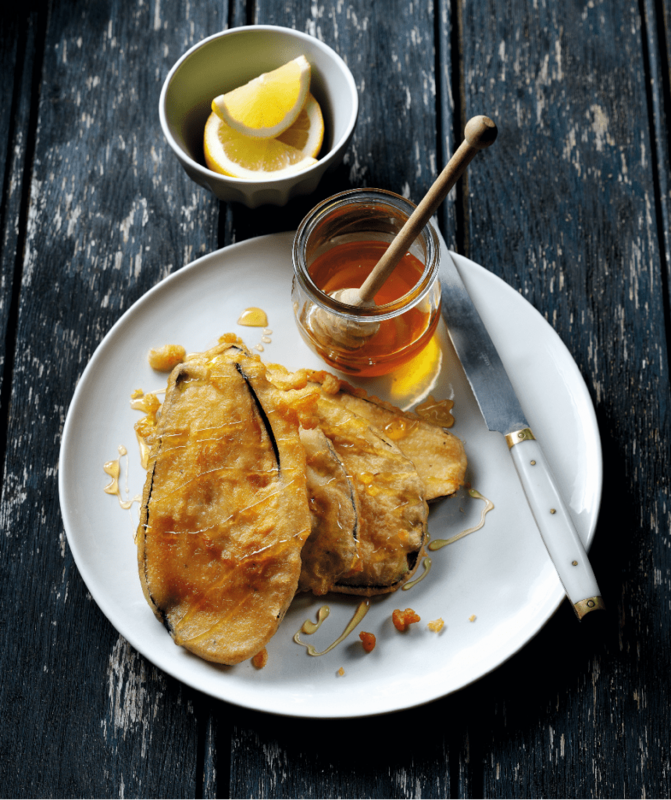 Aubergine fritters are a great example of a recipe you may never have thought of but could be the hit of your next dinner party. But even I (and I eat at least one a week!) did not know it was quite so versatile. 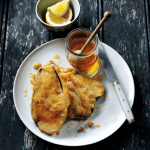 Turns out you can roast it, grill it, bake it, have it fried, pickled or pureed (I do love an aubergine tapenade, which isn’t in the book but a very simple one to make). And if this isn’t enough to convince you, then just know that it is a great source of fibre, vitamins A, B6, B12, C ad K, folic acid as well as calcium, copper iron, manganese, magnesium and potassium and they are low in calories and almost fat-free, so this is the one cookbook which you can afford to look at even while you are working on your summer body. But back to the delicious recipes. If you want my opinion on the ones to try first (because I did, and loved them), then here they are: The fritters with honey are amazing (I also tried courgette in there but augergine wins hands down), the dips are great for a barbecue (and I did even dip a fritter in the dip – double aubergine yumminess). For summer, I loved the chickpea salad, which is light but surprisingly filling. The Pistou is easy to make as well and if you make it in an aluminum tin can be cooked on the barbie as well – especially if you have vegetarians coming to your next garden party. And although it is quite hot at the moment, I really liked the prawn curry and the stir fry. Both will show you just how easy aubergines are to cook. Trust me! The Aubergine cook book by Heather Thomas is available from ebury Press.